Microglia cells. Light micrograph of a section through microglia cells. 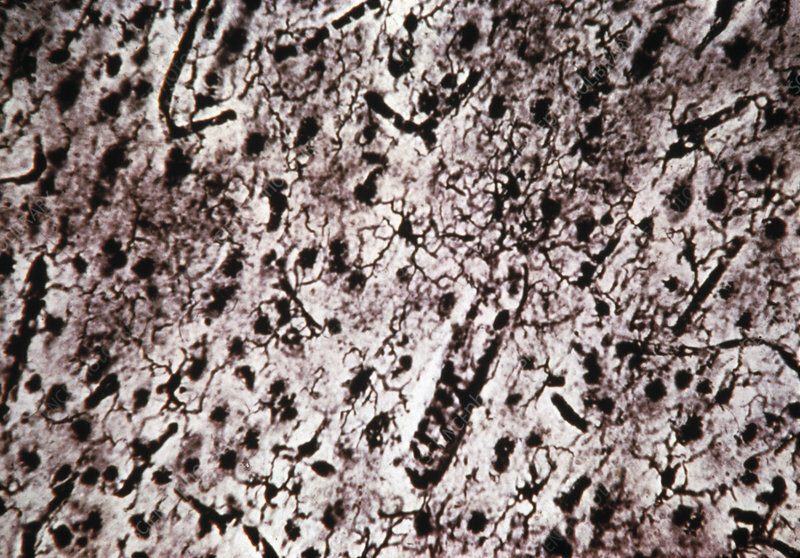 The cells have a black central region surrounded by long, thin, branching arms. Microglia are part of the nervous system. They are phagocytic, being are able to engulf and digest dead nerve cells (neurones). Silver stain.